Talented singer/songwriter Juan Pardo began his career while playing in bands such as los Vándalos and los Relámpagos before joining the successful los Brincos, known as the Spanish version of the Beatles. He later teamed up with Antonio Morales in a duo called Juan y Junior. He started his solo career in 1969 with a self-titled album that included the hit single "La Charanga." In addition, during the 1970s and 1980s, Juan Pardo composed and produced for Camilo Sesto, Emilio José, and Marisol, among other popular artists. 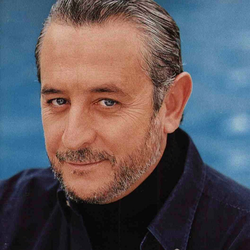 He also made a tribute to Galicia with the release of Alma Galega in 1997 and achieved triple platinum with Pasión por la Vida, produced by British Gay Wallis and Toby Chapman in 1999.